If you've found a new restaurant in town that you've always wanted to try, but aren't quite ready to commit, the New Canaan Chamber of Commerce may have just the opportunity you are looking for. Following a successful nationwide trend in surrounding communities, New Canaan will hold its first Restaurant Week from Aug. 26 through Sept. 3. Shops and restaurants on Elm, Forest, Main and Pine streets will offer lunch and dinner specials on their menus for a prix fixe price of $11.11 and $20.11, respectively. "We've become a very foodie town with all the new restaurants opening," said Tucker Murphy, executive director of the New Canaan Chamber of Commerce. "We figured we need to showcase that. It's what's bringing people to town." Murphy said the event will kick off on the evening of Aug. 25 with "A Taste of New Canaan." That night, restaurants will set up booths on the sidewalks with samples of their menu items for participants to try. Visitors will receive a map and a discount card that will be punched when they try a sample that can be redeemed for special offers. Also, the event will raise donations for the New Canaan Food Pantry. Participants will be asked to bring non-perishable food items that can be dropped off for the charity. "There are 30 to 40 families in New Canaan that really do depend on what they have to offer," Murphy said. "It made an obvious partnership to work with them." For those who may be coming straight from work, Walter Stewart's Market will provide pre-stocked bags of food items that will be donated to the pantry. Participants will be able to choose from a $10, $20, or $30 bag and will be able to see ahead of time the food items that will be donated. "They didn't just give money and not know where it's going," Murphy said. "It's more of a visual for them." As an example of the samples that will be available, Murphy said Design Solutions on Elm Street will feature baked goods from the SoNo Baking Company in Norwalk. "Anything to get people to come downtown is a great thing," said Design Solutions owner Pauline Dora. The boutique offers home furnishings for sale, and Dora said the event will feature John Baricelli, owner of the SoNo Baking Company, signing his new cookbook as well as bringing samples of his baked goods. "Many people forget that we are all here and it is very important to come out and support the downtown area," she said. "We all moved here for the same reason." Also, Brian Lewis, a former executive chef for actor Richard Gere, is reportedly opening a new restaurant called Elm where the former Taste of Asia was located. Ralph Lauren on Elm Street will feature samples of his fare. Murphy said in addition, American Airlines is a major sponsor of the event, and will provide 12 round-trip tickets to Europe that will be raffled off that night, as well as 200 promotional codes that can be used for money off airline tickets. Raffles will also be held for gift cards that are good for $50 discounts on meals at any of the participating restaurants during the week-long event. "There are going to be winners all over the place that night," Murphy said. "It's going to be so much fun." Restaurant Week began in 1992 as a lunch-only promotion showcasing gourmet restaurants in New York City during the Democratic National Convention. Diners could find bargain lunches at some of the best places for only $19.92. Since then, it has grown to almost national holiday status in large cities such as Boston, Houston and Washington, D.C. as a way to offer diners lower prices at restaurants. In Connecticut, most towns hold their week during the annual Connecticut Restaurant Week, which takes place in October. Many cities and towns in the area have experimented with holding it during different times of the year. Stamford holds its Restaurant Week during the summer or winter depending on the year and Norwalk holds its Restaurant Week during early October. 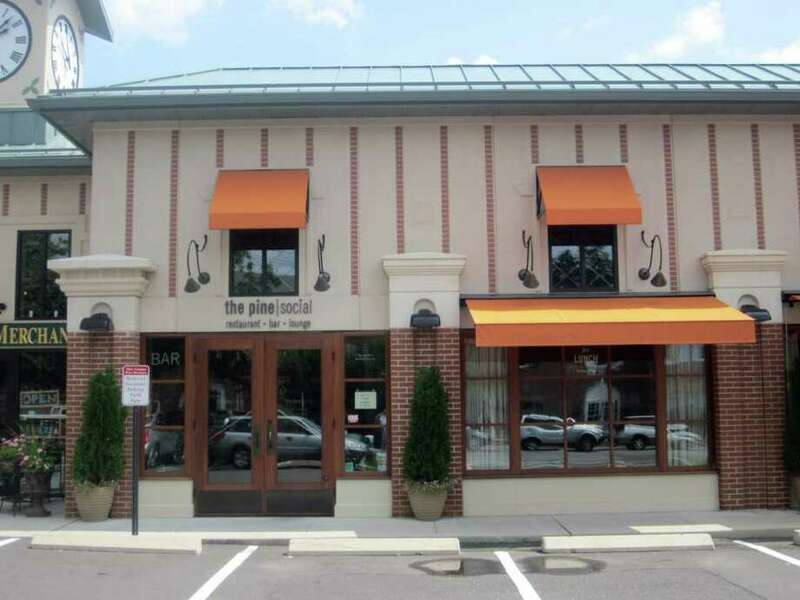 "We're really excited about this," said Joe Rocco, owner of the Pine Social on Pine Street. "It will help drive New Canaan as a dining destination." Rocco said he is still working on the menu, but plans to offer three appetizers and entrees, as well as two dessert offerings. "We absolutely will not cut back on portion sizes or quality," he said. "We are going to wow people with what we put on their plate. They will definitely get a big bang for their buck."